Leaf Green Marble is required for the fabrication of artificial fountain for garden decoration purpose, countertop of kitchen, structures like monument and tombstone to name a few. This type of marble is also used for flooring and staircase. Accessible in slab and tile forms, this type of marble is featured with various edge finishes like bevel edge or straight edge or round edge. Usually, this marble is obtainable with honed or natural or bush hammered surface finishing option. The unique vein pattern on its surface has contributed to its distinctive look. Weather proof design and long lasting quality are some of its unique attributes. 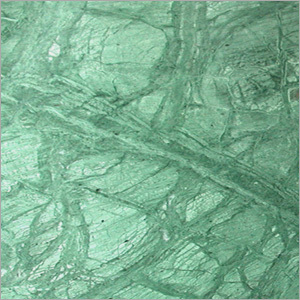 With firm commitment to quality, we have emerged as a successful exporter and supplier of excellent quality Leaf Green Marble.